A journalist by day, I spend a lot of time on the archives – historical parallels are great for rounding off pieces, or for serving as their bulk, as was the case with a piece on a neighborhood in Queens earlier this week. Finding this one required some solid sleuthing. Jose, Jose, Jose… why did you pick that $1,600 clue with so little time to go? Should have gone for the $400 clue, which would have preserved your lock. 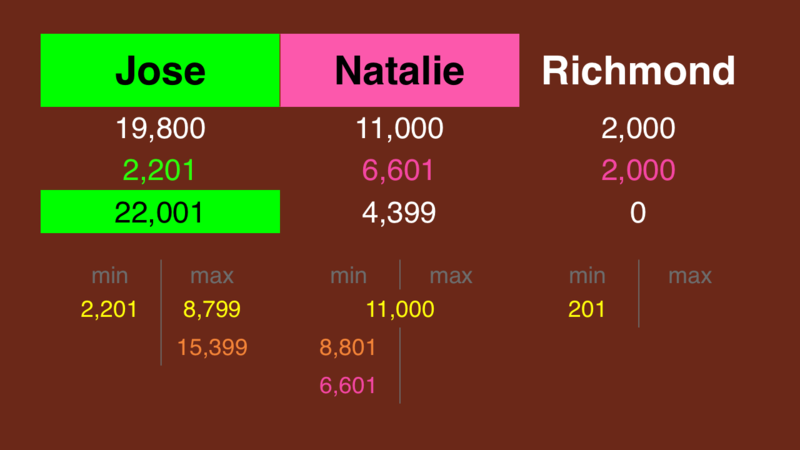 If Natalie doubles her score, she’ll have 22,000. 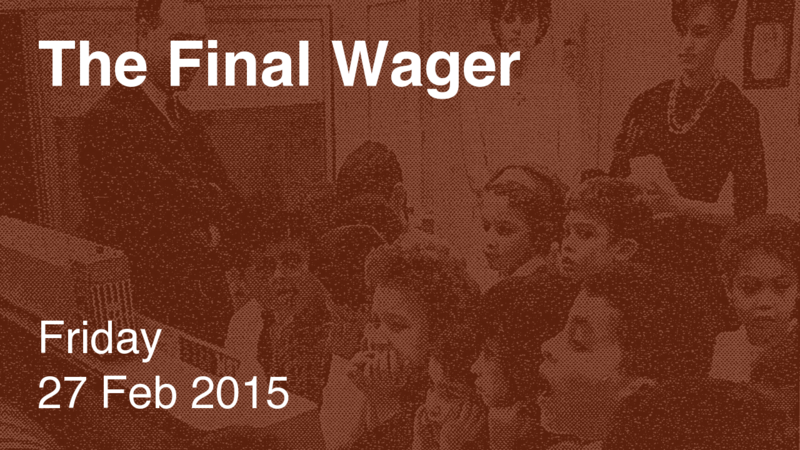 To cover this all-in wager, Jose will need to wager 2,200. An incorrect response with that wager will leave Jose with 17,600. To get above his total, Natalie must wager at least 6,600. Of course, I prefer that Natalie go for broke. Natalie gets a pink grade in her preservation of second place. Always force your opponent to get it right – a miscalculation could happen at any time! 8,801 – 9,000 would have been much better with the same result. The children received a gift from the 1401—portraits of Al­fred E. Neuman. Here’s the photo from the original article – I flipped it to better align with my title card. Well, that was fun. Oh, and don’t forget to check out my Fact Primer on the lunar new year – it’ll help you memorize the Chinese Zodiac. After two weeks of mostly impossible FJ clues, this is one a baby should get right. I wonder why such a big variation in difficulty? I actually wrote code for an IBM 7094 computer (see the NYT story accompanying the picture) while I was in college in the late ’60s. It was part of the last generation from IBM before the System 360 family of computers came out. 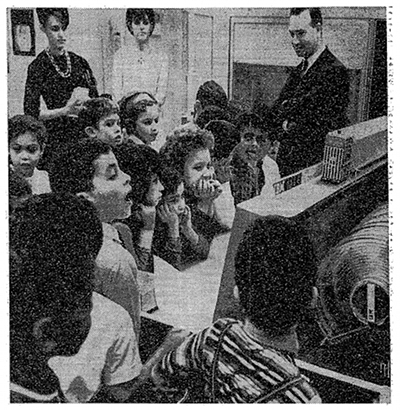 The System 360 was announced in April of ’64, the year the article came out, but deliveries did not start until 1965. As to the degree of difficulty of the clue, it depends on whether you know the names (and even better year of release) of all the Moore films. The degree of difficulty was much lower than some of the other recent FJ clues but “baby” is a bit harsh. And I note that two out of three FJ contestants got it wrong so it couldn’t have been that easy.